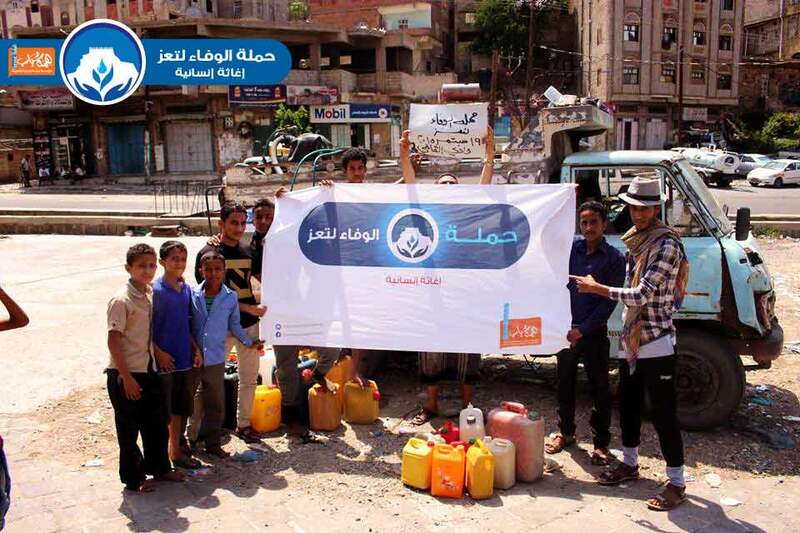 Al-Wafa Solidarity With Taiz Campaign, Taiz 2015. 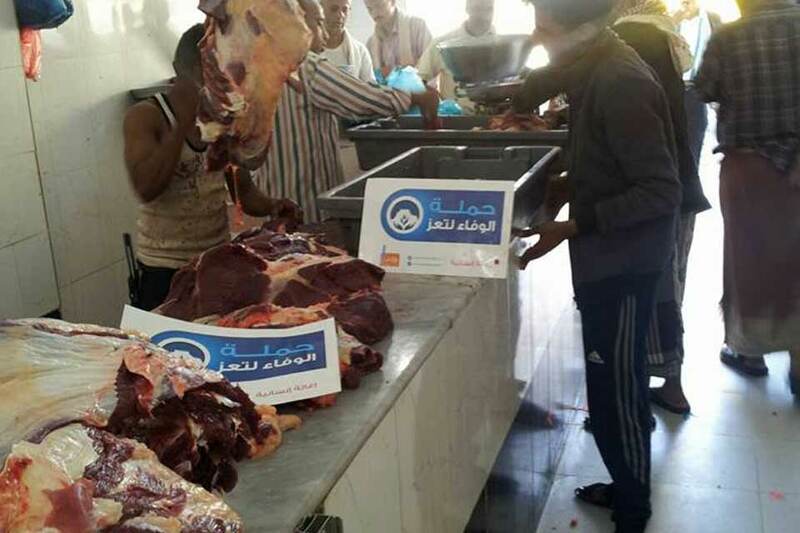 Between the 17th of September and the 31st December 2015, Hemmat Shabab launched Al-Wafa Solidarity With Taiz Campaign, with support from its founders, privet sector businesses and notable members of the community. It is part of HSF's continuous commitment to provide much-needed relief to the city of Taiz, due to the ongoing conflict and besiegement of the city. Supplying 6,091,400 million liters of water to the city, delivered by 1,500 tank trucks. 1,175 food baskets to families in the city. Providing 3 hospitals: Al-Thawra, Al-Jumhori, and Al-Rawdha with their needs of medical supplies. Providing 2 laboratory refrigeration units to Al-Thawra hospital. Providing 2 morgue refrigeration units to Al-Rawdha hospital. 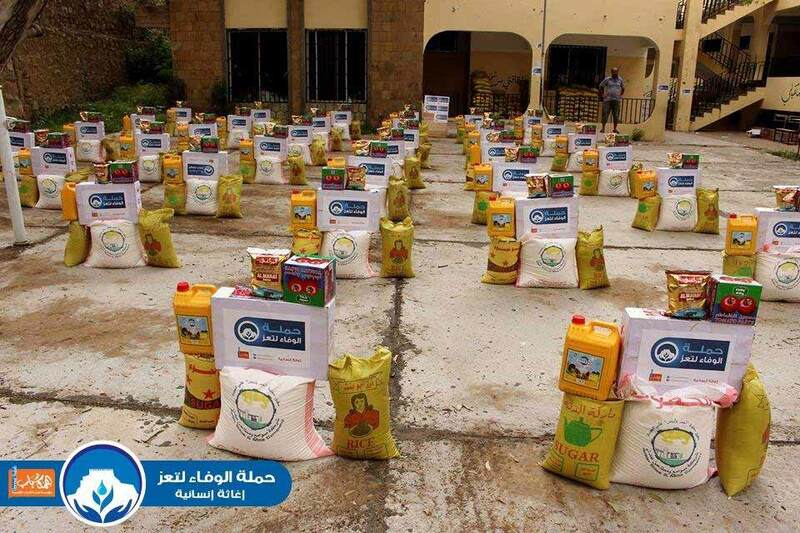 Providing 574 families with festive food provisions on Eid Al-Adha holiday. Providing batches of pharmaceutical, laboratory, and medical supplies. Sponsoring 750 dialysis sessions for patients with renal disease at Al-Jumhori hospital. 4 ECG machines provided to Al-Jumhori and Al-Thawra hospitals. 2 blood bank refrigerators provided to Al-Thawra hospital. 2 morgue refrigeration units provided to Al-Rawdha hospital. 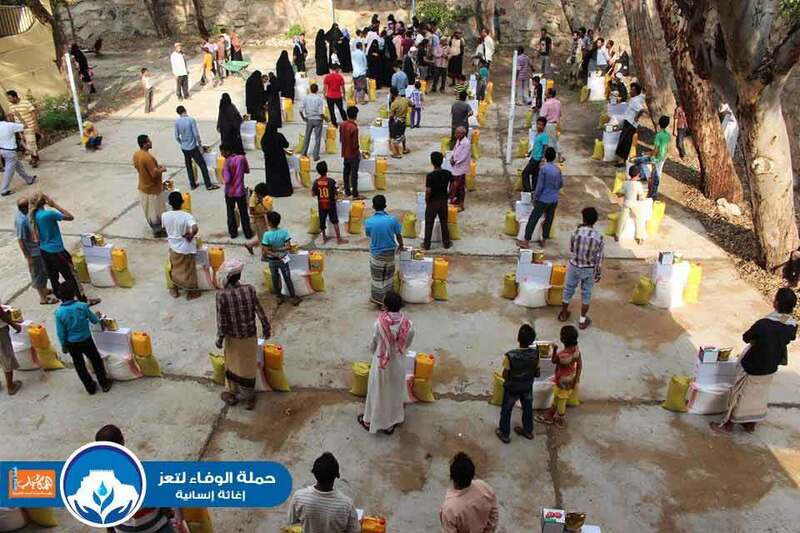 Distributing water on a daily basis to various neighborhoods. 5,158,025 million liters of clean drinking water were delivered between January and May of 2016, on board 1,103 tank trucks. An additional 11,605,375 million liters of sanitary water were also delivered on board 2,995 tank trucks. 1,273 affected families were provided with food basket provisions.